How to prepare your Balcony for Summer? It's almost officially summer, so time to start live outdoor life as much as possible. A few weeks ago I started organizing my balcony: repotting plants which survived the winter, buying some new plants, and rearranging everything. Adding some light and now I'm enjoying my space from breakfast till late in the evening, working on projects or my new blog post. I feel as being surrounded by nature. How small or how big your balcony is doesn't matter, important is to be able to make best out of it. Maximize all its opportunities. Plants is one of them, they will create your private garden. When you start buying plants ask some professional help: not every plants needs a lot of sunshine, some prefer to stay in the shade. Make sure all the plants you choose do well in direct sunlight for extended periods of time. Don't forget plants need to be taken care of. They need water, to change the soil once and a while. If you don't have time are not skilled take plants which ask less maintenance. But don't forget that working with plants and flowers is good for mental health. Coming home after a long day at work, the stress of traffic: taking care of your plants will bring peace to your mind. So there are a lot of reasons to transform your balcony into a mini garden. And than you think: making a garden on my balcony?! It is not impossible. Think of having fresh herbs ready to be used in your kitchen. Herb plants can be quite beautiful and they are functional at the same time. Maybe you have even some space to plant some tomatoes or strawberries. You see, not such a bad idea. So make a plan before heading to the store, not to buy things you don't need at the end. During winter your balcony gathered for sure some dust. So first thing is to make a general cleaning and see if something should get repaired. Some paint on the walls? Maybe it could be nice to change the floor. There are a lot of option to up-grade the floor without taking out the old tiles. Some exotic wood tiles, or even simpler to use an outdoor rug. Outdoor rugs are quite trendy now so it won't be to difficult to find one in the size you are looking for and your budget. There are options in high-tech material, or even in recycled plastic. The rug will give extra color to your balcony and it will match great with the pots and your furniture. Ready to give the walls some paint? You can't go wrong with white paint, but maybe you are into something different this year. You just should take care not to disturb the overall view of the facade, even when you balcony is on the back side of the building. Maybe discuss your idea also with the neighbors, you don't want to start allover. Neutral colors could be a very good option, touches of color will give it a very modern look. But you should think of something: if your balcony is facing south than a dark color would not be a good idea, white is reflecting the warmth, dark colors will absorb them. Now your furniture: start by giving it a good clean, see that there is no rust, and all screws are properly fixed. 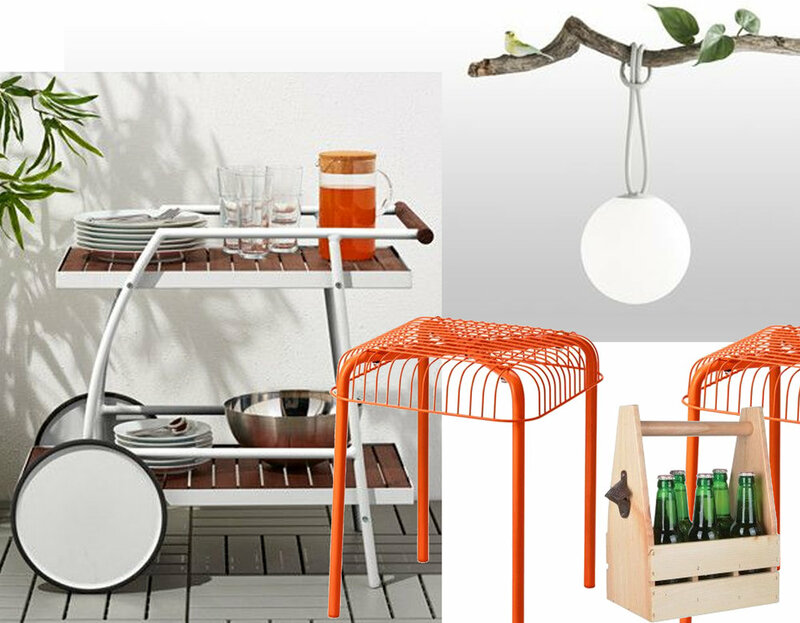 You can make the most out of your balcony by adding simple, multi functional furniture. Not every balcony is big, so maybe you need to think of a good strategy and use some creativity to make the best out of it. Folding tables,some are designed to be hung on the rail. And some extra folding chairs are perfect for unexpected guests. Now you can start enjoying your outdoor space. You can have some relaxing evenings with friends, summer is time for cocktail parties, dinner nights. You already took care of the table, some extra folding chairs or small stools. A small side table, console or a proper bar cart can help you to get organized for stress free evenings. Maybe you don't think immediately of a real source of light as now days are getting longer and longer, but in a month or so it can make a difference. It can help you when you want to make a barbecue or grill in the evening. Don't forget that with light you can create the perfect atmosphere. A fixed wall scone to lighten up the area where you prepare the plates or drinks, candles to make your balcony really incredible. So be prepared to have friends over for dinner, your balcony will be the place to be this year. There you go.... make your balcony look amazing, cozy and peaceful. It is time to start living life outside and enjoy every moment from breakfast till late dinner.